Made in 2008 and then not until 2014. 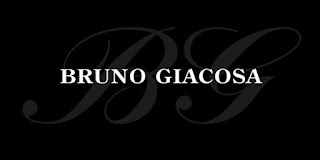 Bruno Giacosa is one of the top Piedmont producers! This is a difficult wine to find in the marketplace and it is rarely presented for official review. In fact, the last time it was produced was way back in 2008. The 2014 Barbaresco sees fruit sourced from the lower part of the Asili cru with some smaller amounts from Rabajà. This is a very opulent and rich expression with forward determination and power. This is an unusual vintage with a cool summer and a very warm pre-harvest period. It produced interesting wines specifically in Barbaresco and almost nowhere else in Northern Italy. The quality of fruit is ripe and a touch sweet. Its texture is succulent and soft. The wine feels like it could be ready to drink now, but it also has the pedigree and beautiful inner structure for long cellar aging. Silky and elegant, exhibiting cherry, strawberry, rose and subtle white pepper aromas and flavors. Tobacco and iron details emerge as this builds to a long, expansive finish. Already harmonious, yet with a firm underlying structure. Best from 2020 through 2036. 295 cases made.